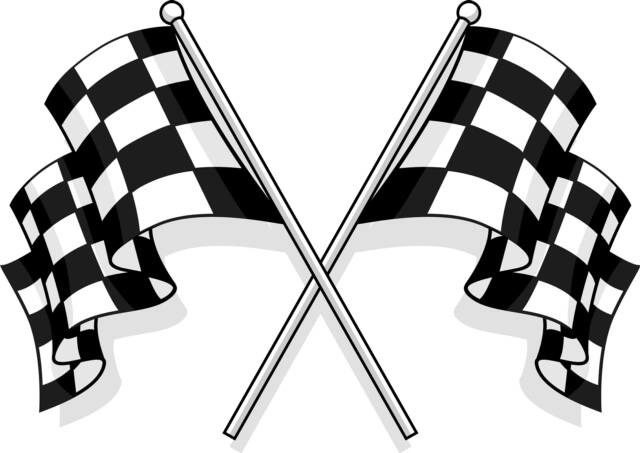 Qualification for membership shall be an interest in Auto Racing. A desire to actively compete and participate in the association’s program of racing, and to promote sportsmanship. The following classes of memberships are established. Any person who qualifies under Article 2 may tender an amount equal to one year’s dues for the type of membership applied for. If any applicant is denied membership, she/he shall be so notified and the money accompanying His/her application shall be returned. Any member shall be automatically dropped from the membership rolls for non-payment of fines or assessments. Any member may be suspended or dropped by a majority vote of the members present at the next meeting for just cause. Such cause may include, but is not limited to, failure to behave in a sportsmanlike manner, or for violation of any By-law or rule or regulation of the association or for conduct prejudicial to the best interests of the association. The Board of Directors will set dues for the association. Dues are payable immediately upon the commencement of the fiscal year, November 1st to October 31st. Every car participating in any LAHONTAN AUTO RACING ASSOCIATION sanctioned program must be registered pursuant to this article and the rules and regulations of this association. Any NON-member will be allowed one courtesy race. To return they must have joined a recognized racing association. The car to be registered must be listed with the association, through its Board of Directors, on a form furnished by the association and the fee, which has been set by resolution of the Board of Directors, shall be paid. Nothing in this Article shall be deemed to allow a car to participate in any race program that has not complied with any rule, regulation, or safety inspection. Nothing in this Article shall prohibit the limited participation of cars registered in another racing association without legal registration if so allowed by the rules and regulations. No intoxicating beverages during the meeting. An annual meeting of the members shall be held before the close of any race season for the purpose of electing officers and directors and for the transaction of such business as may come before the meeting. The President or Board of Directors may call special meetings of the members at any time. The Board of Directors or President may designate any place for the annual meeting or any special meeting. A quorum at an annual or special meeting of the association shall consist of one third (1/3) of the total members eligible to vote. Meetings of the Board of Directors shall be held at least once a month. The President shall notify all members of the Board of Directors and shall in the most convenient manner, designate the time and place for such meeting. Decisions will be made by the majority votes. Only members of the association shall be entitled to cast a vote. Nominations must be made by September 1st. No further nominations shall be made unless a nominee later is unable to run for the office of directorship for which he has been nominated. Only members in good standing are eligible to nominate candidates. Voting shall follow any procedure set up by the Board of Directors, which may include, but is not limited to, votes by secret ballot, roll call, or balloting by mail. At the rules meeting, drivers of each class shall vote only for their class of car building rules. One car, one vote. ALL MEMBERS MUST ATTEND 65% OF MEETINGS AND ASSIGNED WORK DETAIL OR SHALL NOT HAVE ANY VOTING PRIVILEGES. “Nevada General Election Procedures will be utilized for the election of Directors, Officers, and Board Members. Members must be 18 years or a participating driver for points at Rattlesnake Raceway. Any driver with a LARA membership will have the privilege of voting. The qualifications and requirements of participation within these divisions shall be determined by regularly adopted rules and regulations as provided in section 3 of this Article. General members shall meet at least once per year before October 1st to propose and discuss rules and regulations that will govern the next racing season. Any members who want to change one or more of the rules and regulations will submit the change in writing to the Board of Directors. The Board of Directors shall then vote on proposed rule changes. The Safety Committee must approve the change if the change pertains to safety. The Board of Directors shall report the results of the vote to the members and the results shall be declared to be followed. Rules and regulation changes can be submitted to the Board of Directors and Safety Committee until October 1st. The Board of directors shall manage the affairs of the LAHONTAN AUTO RACING ASSOCIATION. The board of Directors shall consist of seven (7) members of L.A.R.A., one member being the Vice President. After nominations are made as provided for in Article 5 of these By-laws, every member eligible to vote shall have the right to cast a ballot for each office. The duly elected President of the association shall be an ex-officer member of the Board of Directors and shall act as a chairman and shall only cast a vote at the Director’s meeting in order to break a tie. The President may not serve as a Board member in conjunction with the Presidency. The term of Board of Directors shall be two (2) years from November 1st to October 31st. The officers of the association shall be President, Vice President, Secretary, and Treasurer. President, Vice President (Board member), Secretary, Treasurer, and two (2) Board members shall be elected on even years; the remaining four (4) Board members shall be elected on odd years. The alternate Board Member will be up for election every year. The term of office shall be two (2) years from November 1st to October 31st. In the event that any officer or director shall resign, be incapacitated, or be removed from office the President, with the approval of a majority of the Board shall appoint a successor. In case of a vacancy in the office of the President, the Vice President shall become President and shall, with the approval of the Board appoint another member for the Board. The President shall elect a Vice President. Any officer or director may be removed from office by a 2/3 vote of those members eligible to vote. The President shall preside at all meetings of the Association, appoint committees and have general supervision of the Association and conduct day to day business. The President will be acting Director of Competitions (DOC) or be able to appoint a DOC. The Vice President of the Association shall assume the duties of the President in his absence. The Secretary of the Association shall keep the minutes of the Association by convenient method, and no less than five days prior to the third race shall maintain a roster of all members of the Association and of all cars registered with the association. The Treasurer shall supervise the books and account for all funds of the Association. The Treasurer shall also have a treasury report to be used as the first order of business at the next meeting of the Board of Directors. The Board of Directors may authorize any officers or agents of the association, in addition to the officers so authorized by these By-laws, to enter into any contract or execute and deliver any instrument in the name of and on behalf of the Association. Such authority may be generally confined to specific instances, provided that any act which subjects the association to liability in excess of six hundred dollars ($600.00) for any single purpose shall be approved by a majority of the members eligible to vote, attending any meeting of the Association. No salary shall be paid to any officer or director of the association. Reasonable reimbursement of expenses will be paid by the association for expenses incurred in the carrying out of the duties of an office of the association. Compensation will be paid to person, including officers and directors, for services rendered other than as an officer or director of the association. After adoption of the rulebook by the members all Rules will be final. All Officers must be Churchill County residents, and there shall be no more than one (1) Board Member residing out of the county and the Safety Committee can be a resident of any surrounding county. You must be a member in good standing in order to be nominated for office. In order to become eligible for office, the person must have been a member of L.A.R.A. for one (1) full year immediately prior to November 1st. Any Officer or Board of Director will be dropped from office if they miss two (2) or more meetings without a justifiable cause.